2018 marks 30-years of night sky advocacy. This fight to protect the night couldn’t happen without YOU! 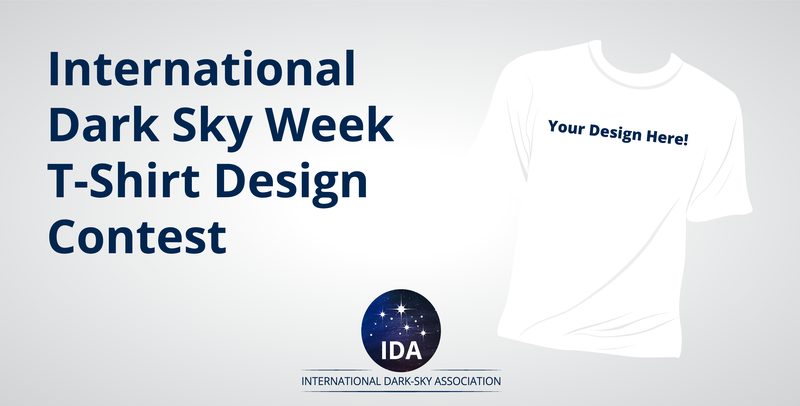 Here’s another way to join the cause: design your own t-shirt and slogan, and enter your design into our International Dark Sky Week t-shirt design contest. Create a t-shirt design with a slogan. Your design should help bring awareness to International Dark Sky Week and IDA’s work to protect and restore night skies. (Here are a few of our past designs.) IDA will choose the top three designs and post them on our social media feeds. The dark sky digital community will choose the final winner! The top-three designs will receive prizes. Free t-shirt with your design! Public recognition from IDA, and the opportunity to spread the word about light pollution!